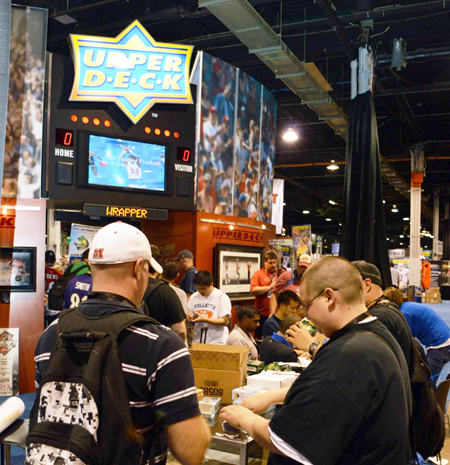 Upper Deck offered a special case breaker promotion at the 2013 National Sports Collectors Convention where those collectors who opened a sealed case of 2012-13 NHL Fleer Retro, 2012 Fleer Retro Football and 2012-13 Fleer Retro Basketball could score sets of the company’s wrapper redemption packs and a special bonus item. 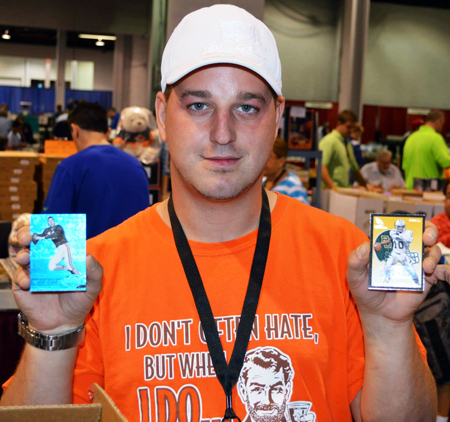 Serious collectors were fired up to break some cases of Fleer Retro from various sports at the National Sports Collectors Convention. These case breakers took over the Upper Deck booth for the first 24 hours of the show. The community of collectors got a kick out of one-upping each other on what was being pulled from each of these cases. And with items up for grabs like LeBron James promotional posters, blow-up tickets signed by the every 1st round pick from the 2013 NHL Draft and five Michael Jordan autograph cards, there was a huge line of fans eager to take part in the program right off the bat. 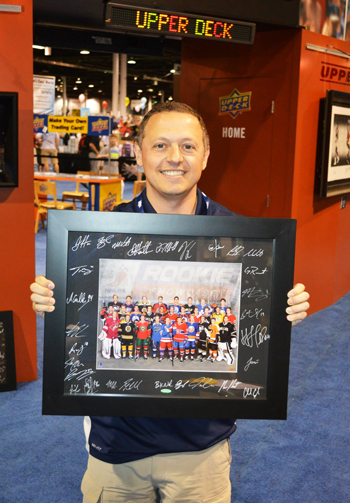 In fact the promotion was so successful that it sold out on just day two of the National Sports Collectors Convention. 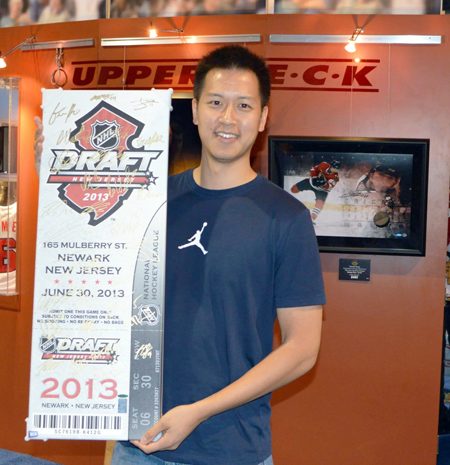 Not only did this collector score sets of UD’s wrapper redemption promo and all the cards from his case, but this awesome blow-up ticket signed by every 1st round pick from the 2013 NHL Draft. 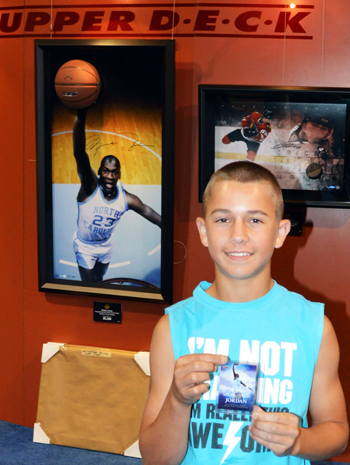 This young breaker was thrilled to score a Michael Jordan autograph card limited to just five copies from the promotion! Another cool item provided courtesy of UD were framed matted photos signed from rookie stars from the last few NHL seasons. What makes this even more interesting is that when Upper Deck purchased the Fleer name, the company did not acquire any data on how these innovative insert cards were made. Upper Deck actually purchased many of these original Fleer insert cards, reverse engineered them in order to bring them back to life and providing collectors with a variety of beloved insert card sets from the past. 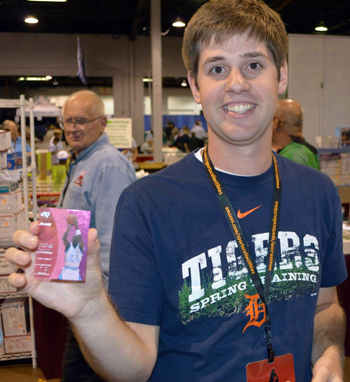 The Precious Metal Gems cards and Fleer E/X Essential Credential pink cards were big draws for collectors who were thrilled when they found them for boxes. Pulling a pink E/X Essential Credential insert card is a great feeling, but when it is Michael Jordan on the card it is an even bigger thrill. There were some amazing autograph pulls as well like this Bart Starr insert and Robert Griffin III autograph card. Believe us when we say he is smiling on the inside after pulling this pair! 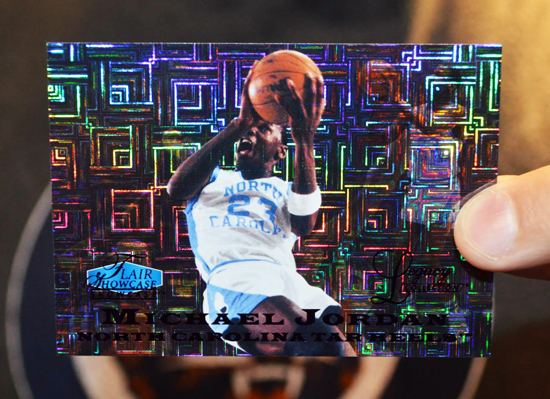 And then of course there was this magic moment when Michael Billing pulled something incredible with this Michael Jordan one-of-one Flair Showcase Masterpiece card. WOW!!! 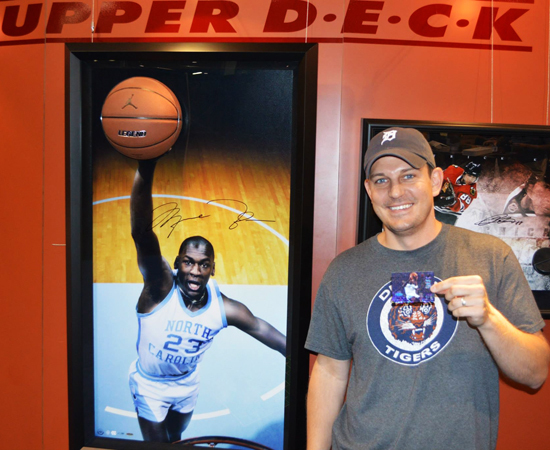 The booth was buzzing after this collector pulled a one-of-one-Michael Jordan Flair Showcase Masterpiece one-of-one card. 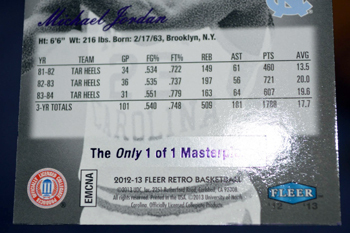 Without a doubt though the thing these fans appreciated most about the Fleer Retro line of products is the opportunity to pull something that is just unbelievably awesome. Cards that have values higher than some automobiles. 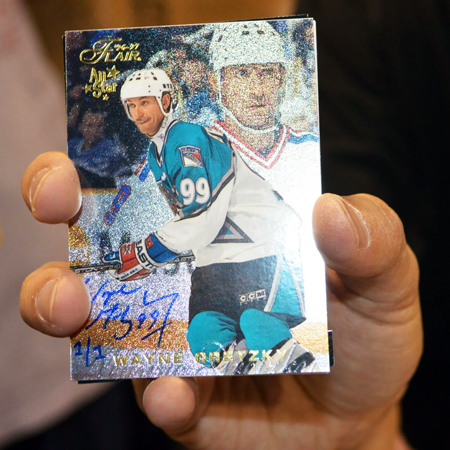 Cards like this one-of-one Wayne Gretzky autograph buyback card that was pulled at the very beginning of the promotion and set the table for a great night of breaking. 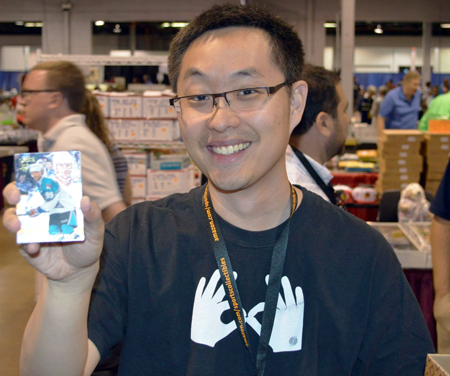 This collector was all smiles after he pulled a one-of-one buyback card from Fleer Retro of Wayne Gretzky! These buyback autograph cards in Fleer Retro can go for HUGE $$$ in the secondary market. Crack some Fleer Retro today!